In this horror comedy, a dysfunctional family is besieged by a murderous demon when they lose their holiday spirit at Christmas time. The violent Krampus makes it his business to punish people who have been naughty, and these people are asking for it. Adam Scott and Toni Collette star. 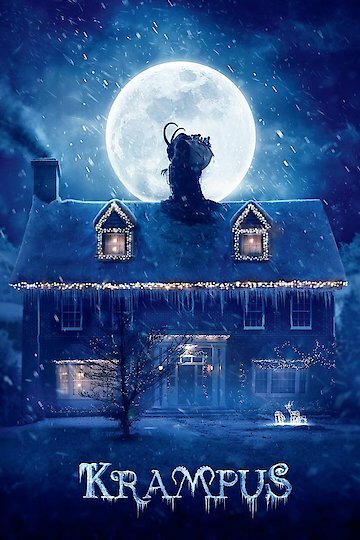 Krampus is currently available to watch and stream, download, buy on demand at FX+, FOX, Amazon, Vudu, FandangoNow, iTunes, YouTube VOD online. Combining Christmas and horror in a film is a daring move, but it's not new. These films are the best of a bunch that came decades before Krampus. Scary and Christmas wouldn't seem to go together, but this week's lone new wide release hopes that audiences are willing to give the unusual combination a try. Traditionally, not many people go to the movies on the first weekend in December, but this year was different. Even more unusually, may moviegoers decided to go see a Christmas-themed horror movie.